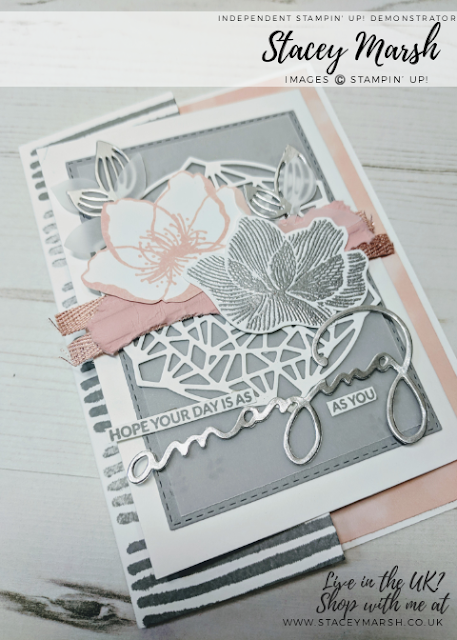 Today I bring to you my 2nd card from a set of cards I have made using the Remarkable You stamp set. 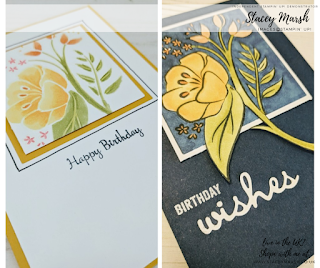 This time a "Happy Birthday" card! 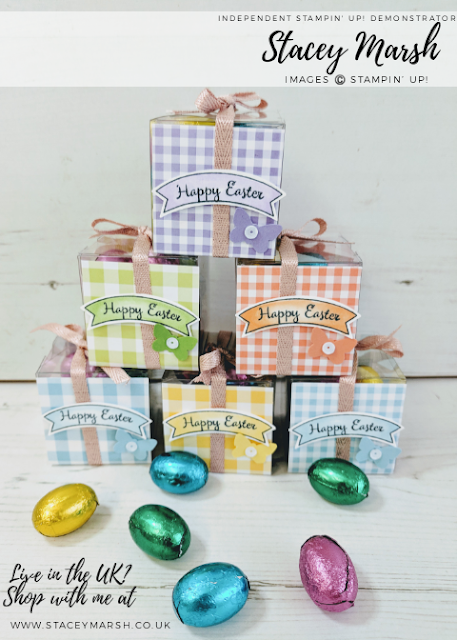 For this one you have a Very Vanilla Cardstock card blank with a smaller sheet of same coloured Cardstock as a layer attached. 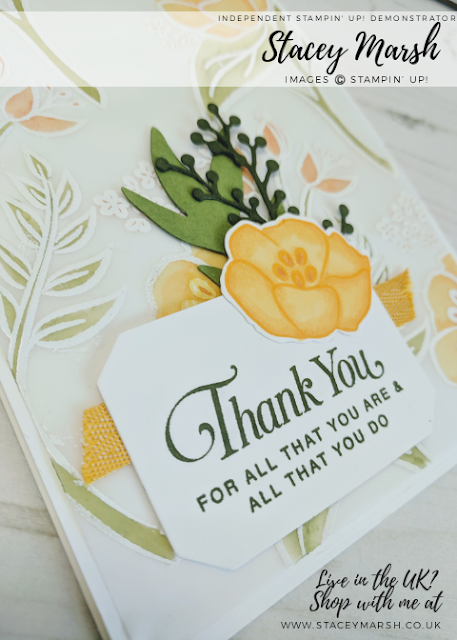 I have edged this piece of card beforehand with some ink from a Crumb Cake Classic Stampin' Pad. 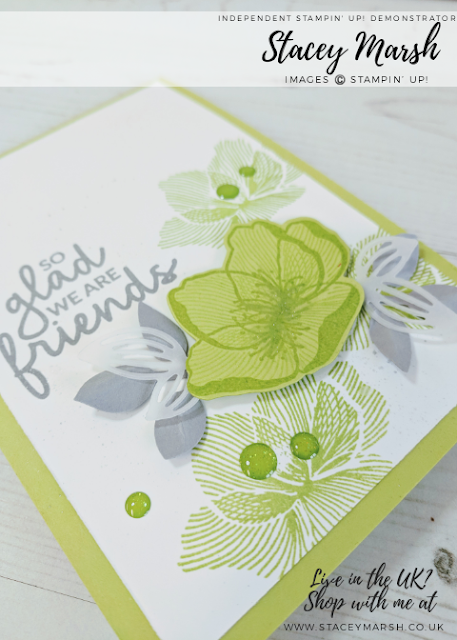 This piece of Cardstock has also been watercoloured slightly using a Soft Sky Classic Stampin' Pad and an Aqua Painter to find the washed background effect. 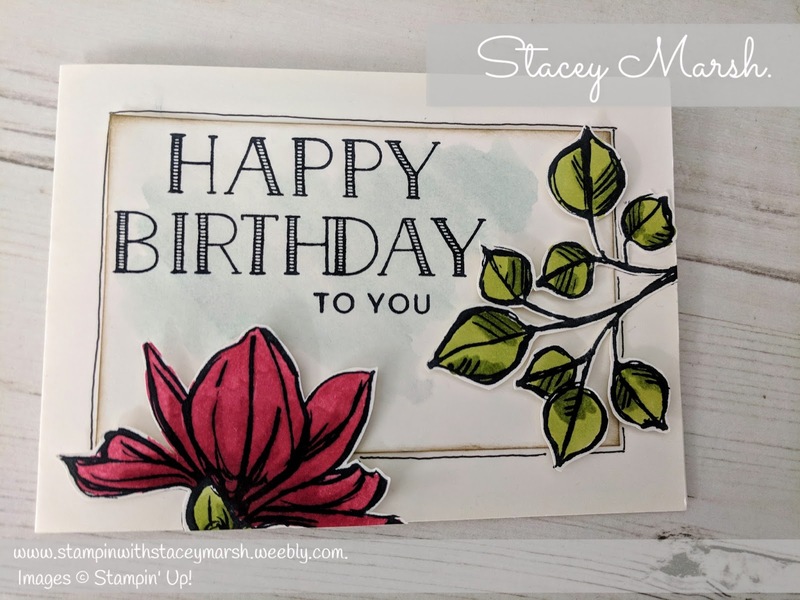 The main Happy Birthday sentiment comes from a step set called Big on Birthdays and or had been attempted using a Tuxedo Black Memento Ink Pad. The "To You" addition is a smaller stamp from the same set. 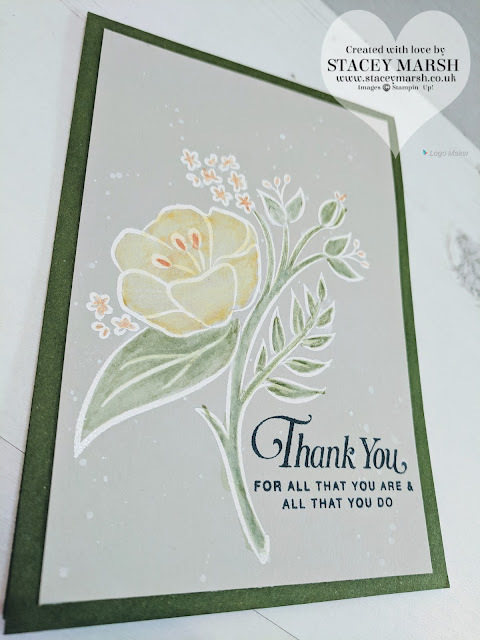 I have stamped the flower and leaves images into a separate sheet of Very Vanilla Cardstock using a Tuxedo Black Memento Ink Pad, coloured using Stampin' Blends and cut out with scissors. I have them attached to the card blank having Stampin' Dimensionals to give added depth. The black line has been added using a journaling pen.